Are you looking for a great new dip recipe to take tailgating or to make for the next big game? 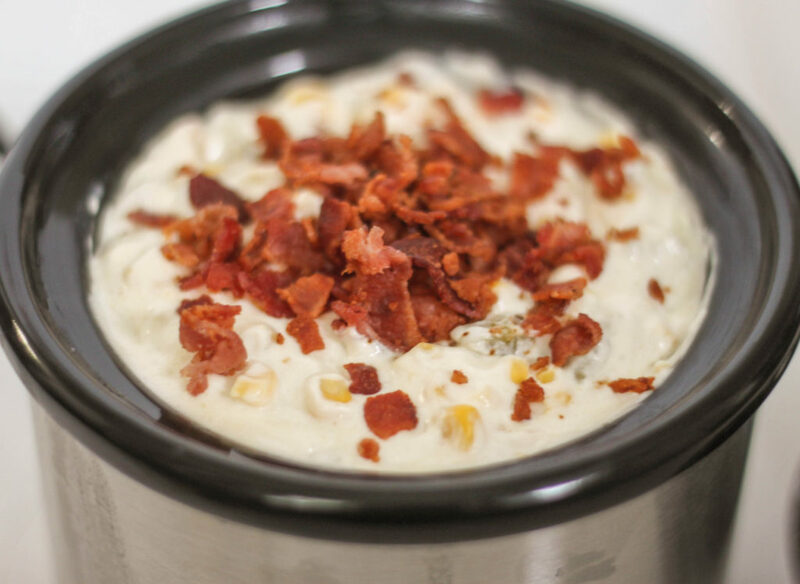 This Creamy Hot Bacon Corn Dip is perfect football food! This recipe comes from the Gooseberry Patch Super-Fast Slow Cooking Cookbook. If you know me you know I like to sneak vegetables in where ever I can and this dip recipe does just that! Bacon and corn, yes please! The key to this recipe is to make sure your cream cheese is softened. If you are short on time you can microwave it a couple seconds to help softened it, otherwise you won’t be able to mix everything together very well. I am not the biggest fan of spicy foods so I only used about half of a can of green chilies but if you like spicy foods you can use the whole can. The original recipe called for a chopped jalapeno but I substituted chilies instead. I used this crock pot little dipper and the ingredients fit perfectly. You could easily double the recipe for a bigger crowd. 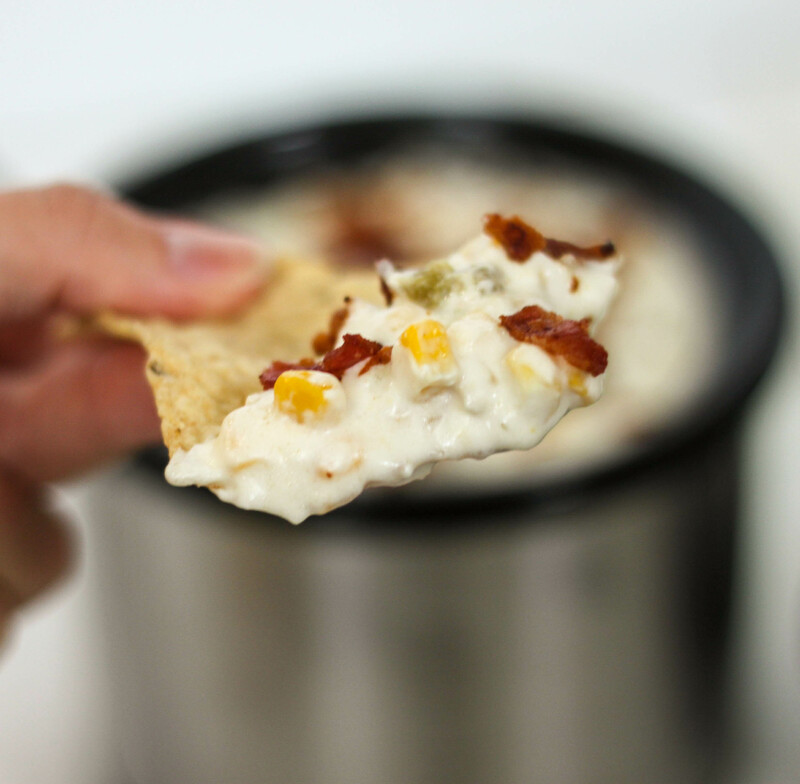 The salt in the bacon and chips really brings out the flavor in this creamy dip. Great crock pot appetizer from the Gooseberry Patch Super-Fast Slow Cooking Cookbook. Combine all ingredients except chips in a dip size slow cooker. Cover and cook on high setting for 30 minutes; stir until smooth. Reduce setting to low to keep warm. The longer it cooks, the spicier it will get. Looks luscious! Pinned… Printed, and hope to make soon. Oh my heck! This looks wonderful! Thanks! It is really yummy!